The Volkswagen Touareg is a mid size luxury crossover range that was released in 2002 by the German manufacturer. The range was produced as a joint project with Audi and Porsche. Related to the Audi Q7 and the Porsche Cayenne, the range combines off road features with sports car handling. As the brands first true SUV model, the range was met with anticipation and has earned its place as a popular model. With sharp and sporty styling, the vehicle boasts an attractive design that is modern and youthful. The models well built interior is fitted with quality materials and the cabin itself is made with plenty of family practicality. 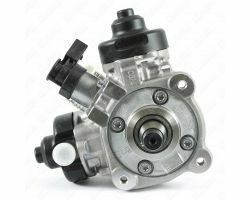 Available with an array of petrol and diesel engines, these engines offer different power outputs for the buyer to choose from. The favourite choices are the 2.5 litre TDi diesel engine, 3.0 litre V6 TDI diesel and the 5.0 litre V10 TDI diesel motor. 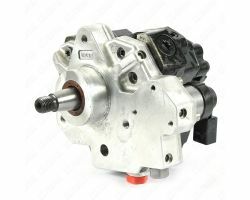 These diesel engines are great at delivering excellent refinement, a strong performance and great ride comfort. In all, the Volkswagen Touareg is a popular range that offers a sporty design, luxury interior and efficient diesel engines. 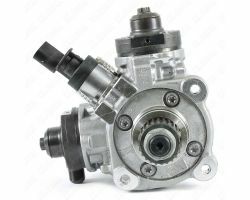 Diesel fuel pumps for all Volkawagen models in stock Use our parts exchange service to save £100s send us your broken Volkswagen Diesel Fuel Pump and we will send you a repaired diesel pump, All repairs are to the diesel fuel pump manufacturers factory standards.